Dream Aero invites you to “take to the skiers” on a passenger airliner flight simulator. Almost all parameters of our flight simulator meet the requirements of Doc 9625 ICAO FSTD Type VII, which means that we offer you a very real experience of flying the plane, suitable even for real-life pilots. 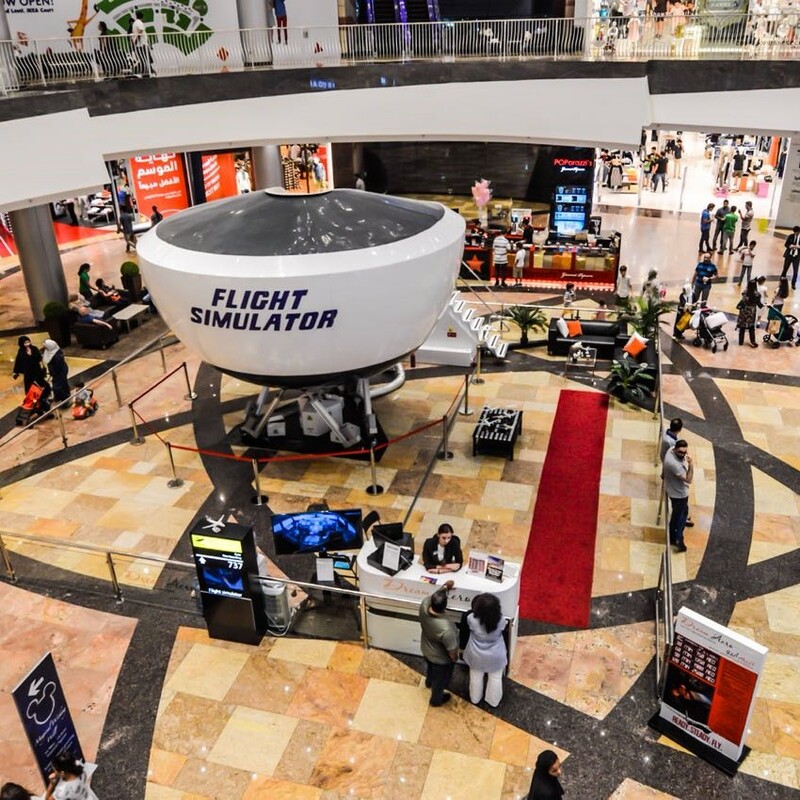 The flight simulator accurately reproduces every aspect of a real flight, with you behind the controls. It might be too much to ask a beginning pilot to fly a plane in difficult weather conditions but he or she can master basic elements of the flight, such as takeoff, landing and following a certain flight path. It would be even simpler with an experienced instructor alongside you. Most flight simulator computer programs cannot compare to our model, either in terms of visualization or the software. Professional support of an experienced instructor pilot. Your instructor will not only advise you on the sequence of actions during your flight. He will also try to teach you the logic of piloting the aircraft. You will learn why you must warm up the engines, why you should pay attention to your plane’s flaps, for what purpose you should switch on the autopilot, etc. As soon as after the first session you will already have an understanding of what the crew of a passenger airliner do in various situations. This understanding of the essence of piloting operations helps many people with aerophobia cope with uncontrollable panic attacks. The cool-headed and calm instructor will become a symbol of real professionalism, a role model you can follow. To feel confident, just take one look at our classy professional pilots. Any flight with Dream Aero will end well, when such professionals are at controls. Immersion in the real world of aeronautical equipment. Our incredibly accurate and detailed visualization system fully imitates real flight environment and aircraft operations. The computer remembers all the real approaches to airports, with their takeoff and landing equipment and unique local features. State-of-the-art engineering solutions make the quality of this visualization incomparably better than that of a computer screen. Your flight will be accompanied by the quality sound of the real flight environment. Helps deal with aerophobia-related panic attacks. Many people are afraid of flying. This is a normal reaction to an unconventional environment, when the instinct of self-preservation kicks in. Most people can keep these fears under control quite easily but when the fear gets you, you experience what is called a phobia. Phobias have a profound negative effect on our life, and they must be addressed as serious concerns. Phobias are often detached from the objective reality; they are irrational. Someone with an aerophobia may have never flown before and never been in an air accident, but nevertheless, he or she is fearful. He or she may very well be aware that riding in a car is potentially much more dangerous, yet still be unable to overcome their phobia. Unfortunately, aerophobia occurs in many people. According to some researchers up to 20% of people choose not to fly because of this condition. This is happening at the time when moving fast across large distances is essential for most types of activities, and many people enjoy traveling and make active lifestyle choices. Often people do not seem to overcome the phobia without getting some necessary knowledge first. Many people take medicine, some people drink alcohol, however panic attacks come again and again. Psychologists have developed methods of overcoming aerophobia that allow people to return to normal life and stop imposing travel limitations upon themselves. One of the most effective methods for overcoming aerophobia involves virtual reality simulations, such as practicing on a flight simulator. The idea is to provide controlled exposure followed by vigorous activities with the goal of overcoming the fear. People are able to manage panic attacks more successfully knowing that things are under control. To some extent, this is similar to the difference of impressions of driving experienced by the driver and the passenger. Trying the flight simulator evokes emotions and impressions comparable to those experienced in a real flight. The cockpit of our flight simulator is placed on a moving platform that fully replicates physical flight dynamics in full detail. As you accelerate during takeoff you will experience every bump on the runway surface, feel the power of liftoff and climb. During the flight the platform copies every action of the pilot and all the flight conditions (roll-offs, turbulence, etc.). The movability is provided by the high-output hydraulic control system that is operated by a computer. 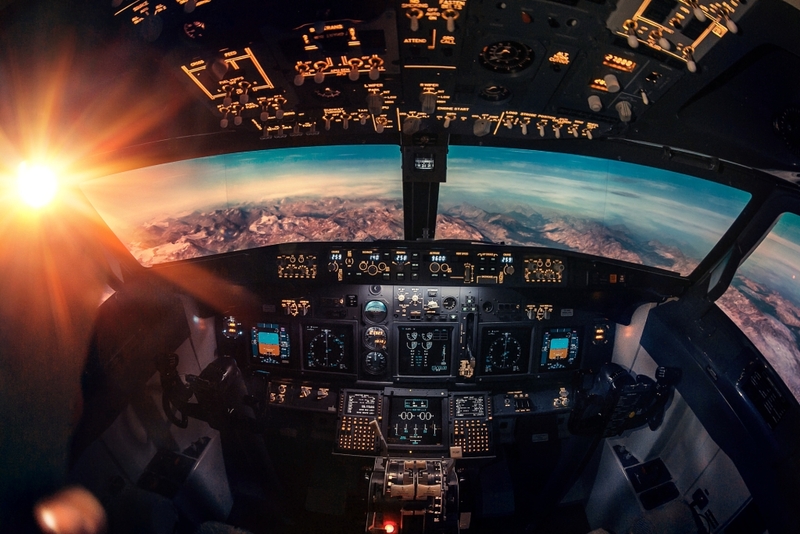 The movable cockpit, vivid visualization and real sounds create an impression of a real flight aboard Boeing 737. To this day Boeing 737 is the most popular narrow-body twin-jet airliner in the world. It is the heaviest passenger carrier in history of aircraft engineering. Boeing 737 is considered the most popular and most widely used jet aircraft in the world. It is the narrow-body long-range aircraft made by Boeing, the most massively produced aircraft in the entire history of passenger aircraft engineering. The 8000th Boeing 737 took to the skies on April 16, 2014. The first Boeing 737 was manufactured in 1967. Original versions are models 100 and 200. The Classic generation is represented by models 300, 400, and 500. Next Generation or Boeing NG – includes models 600, 700, 800, 900. Starting with the Classic Series (1984), all models of Boeing 737 Classic family have earned the reputation of being highly reliable and safe. This reputation made these aircraft popular and increased the demand. Boeing 737 NG Series was designed in response to a new competing model, the technologically sophisticated Airbus 320. Boeing NG features a digital cockpit, its wing span and tail have been increased by 5.5 m, the engine design was improved. The design of the passenger cabin is similar to that of 757 and 767 models. In general, 737 Boeing NG aircraft family is a modified and improved Classic 737 series aircraft. Schemes and functionalities of life support systems have been left unchanged from the previous models, however, new modifications have considerably improved takeoff and landing characteristics and sufficiently reduced the rate of fuel consumption.